You may have noticed from the posts here that we’re partial to our steaks. We normally barbecue a steak at least once a week and the only problem that poses is what to serve with it. It’s hard trying to come up with different side dishes, especially if you take potatoes out of the equation which is what we’ve been trying to do. 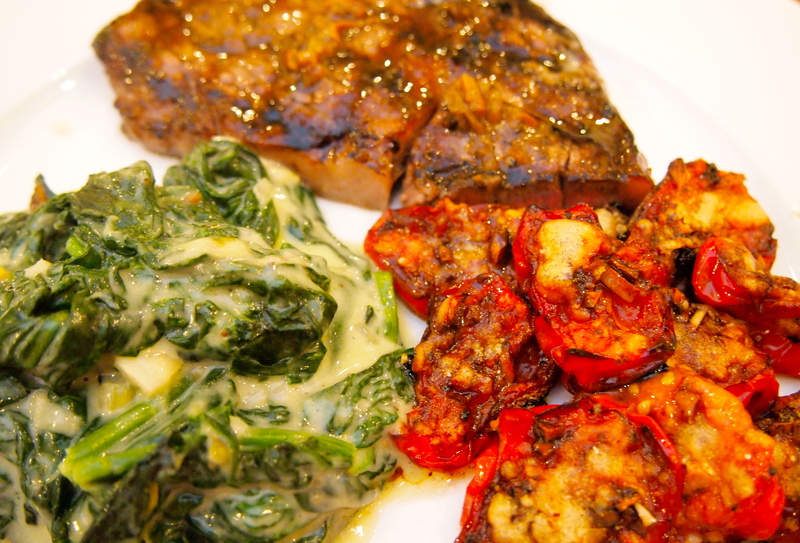 Here are a couple of side dishes that always please – creamed spinach and roast tomatoes. 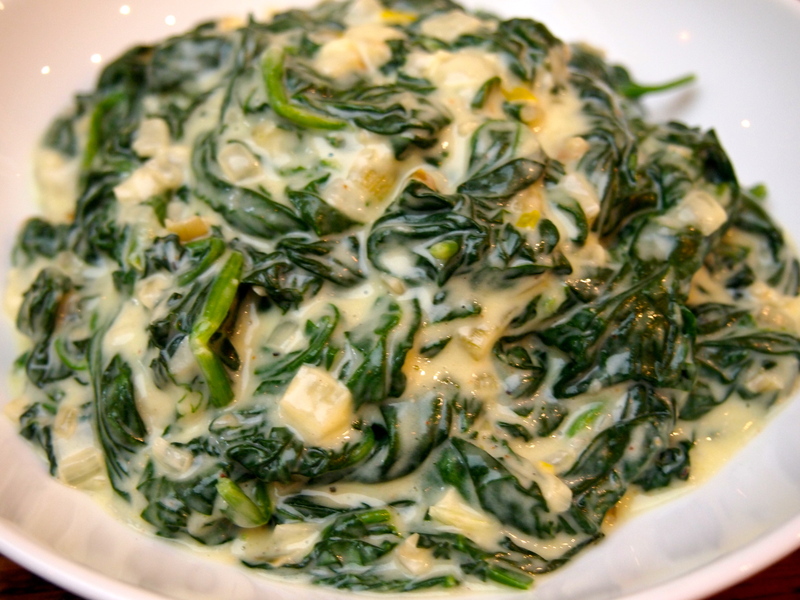 Creamed spinach is a steakhouse favourite and I cook it in a couple of different ways. When I’m short of time I just cook the spinach with some garlic, drain it of excess water , add a little nutmeg and cream and blend it with a stick blender. It’s delicious but not the traditional way of making creamed spinach. The recipe below is the more classic method and it’s very good. 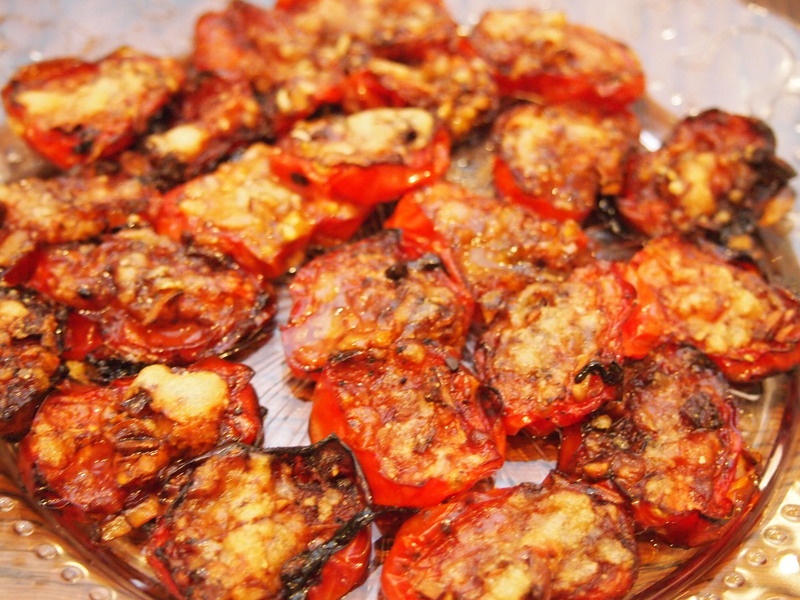 The other side dish that goes great with grilled meats is roast tomatoes. Steakhouses normally serve some sort of tomato side dish, usually a tomato salad with a steak sauce dressing but I find roasting the tomatoes with a little balsamic and garlic and then finishing off with a little parmesan gives then incredible flavour, even if your tomatoes weren’t that great to start off with. So next time you’re in a quandary as to what to serve with your steaks go the steakhouse route – they’re classics for a reason! 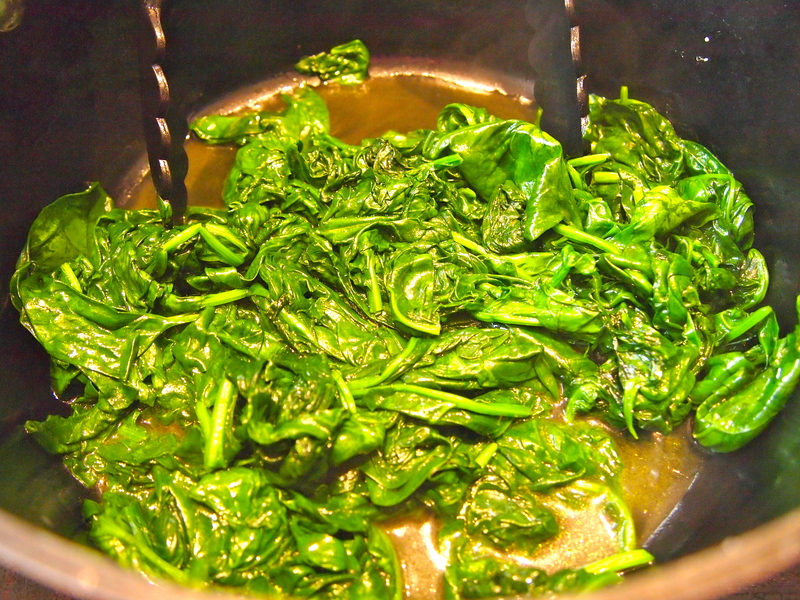 To make the creamed spinach heat the olive oil in a large skillet or frypan over medium heat. Add the washed and drained spinach along with a large pinch of salt and cook, stirring frequently until the spinach has completely wilted. 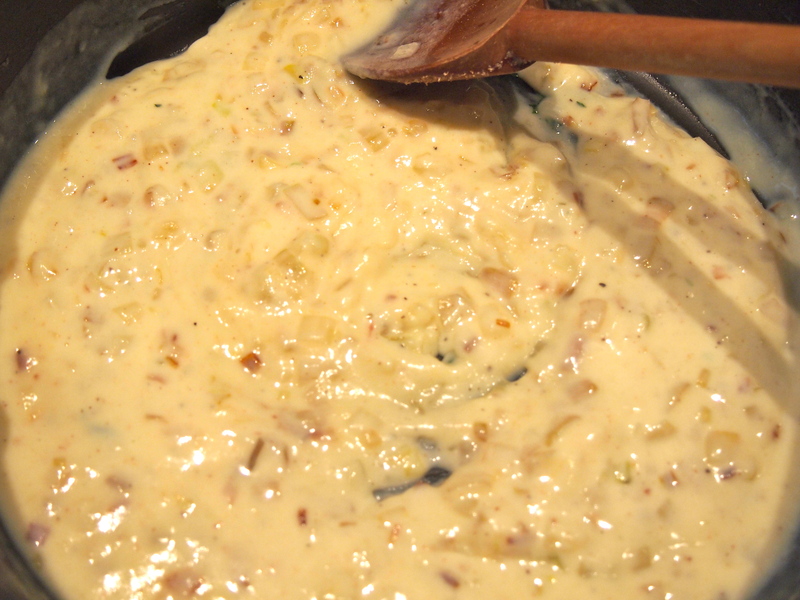 Remove from the pan and put into a colander over a bowl to drain of excess liquid. In the same pan add the butter and when melted add the onion, garlic and another pinch of salt and cook until the onions are very soft, make sure the heat isn’t too high as you don’t want to colour the onions or the garlic. Add the flour and cook for a couple of minutes stirring the flour into the onion and butter mixture. Using a whisk add the milk and cook whisking until the milk has incorporated into the sauce and has thickened. Reduce the heat to very low, add the nutmeg and season with salt and pepper. Add the spinach back to the pan, squeezing it beforehand to make sure there is no excess liquid and stir into the sauce until well combined and the spinach has heated through. 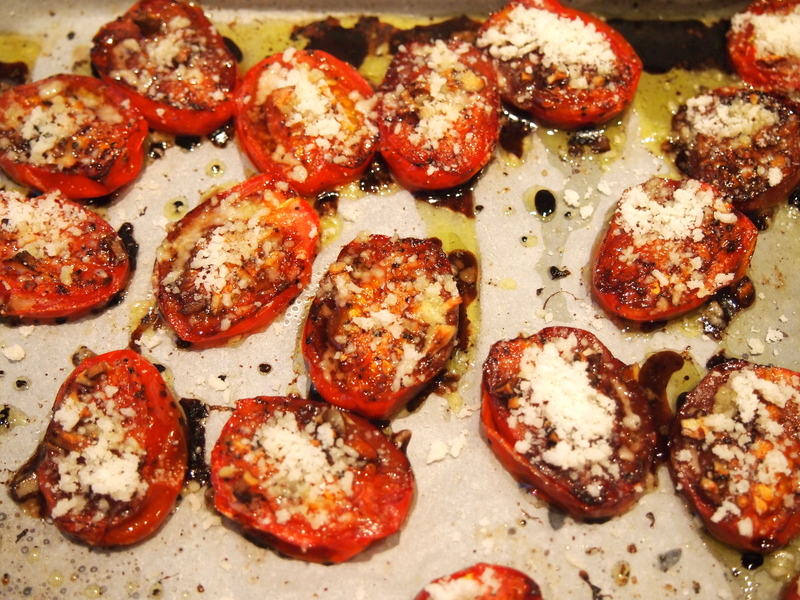 To make the roast parmesan tomatoes preheat oven to 180C. 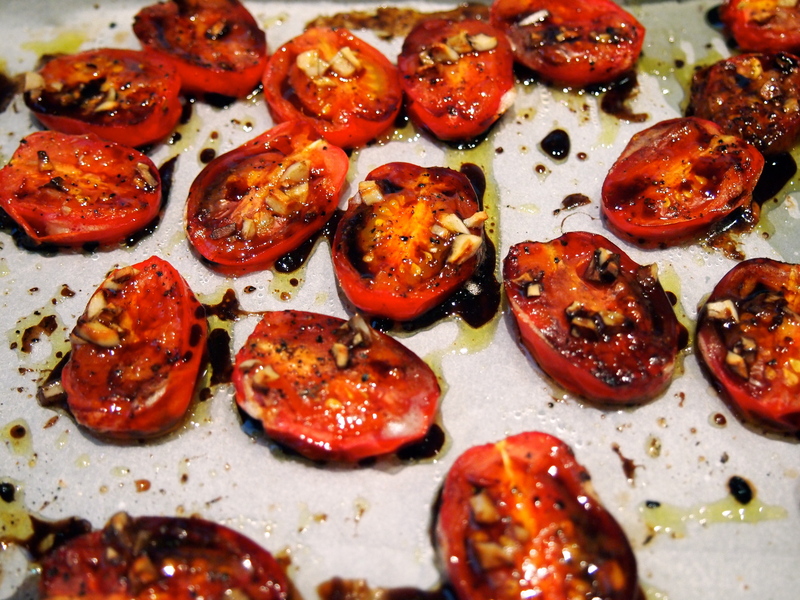 Wash and halve the tomatoes and place on a shallow baking sheet lined with baking paper. Sprinkle with salt and pepper and drizzle on a little olive oil followed by a little balsamic vinegar over each tomato half. Place some of the garlic on each tomato and sprinkle with the sugar. Place in the oven for 20 minutes or until the tomatoes have roasted and starting to turn a little brown on the edges. Remove from the oven and sprinkle with parmesan cheese and roast for a further 10 minutes.